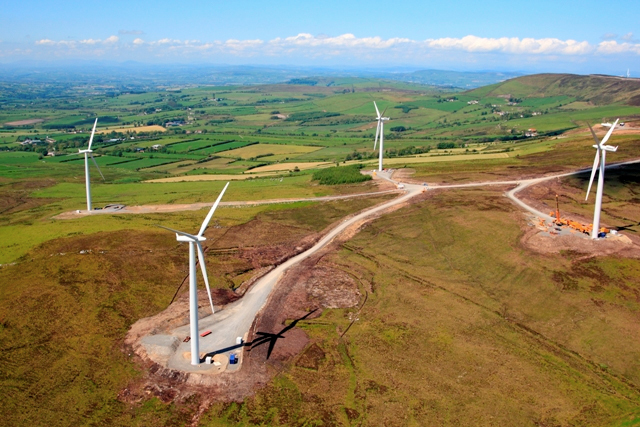 Charles Brand was involved in the design and construction of a 28.5MW wind farm at Slieve Kirk Mountain in Northern Ireland for long term client SSE Renewables. The project is being delivered on an upland blanket bog situated where County Derry crosses into County Tyrone. 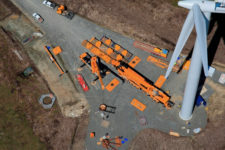 Work began in July 2010 to construct 12 Siemens 2.3MW turbine bases and associated hard standings, 8,000m of access tracks (suitable to carry loads up to 140 tonnes up an 18% gradient), 7,500m of 20KV collector circuits, laydown areas and a 110KV sub-station. The scheme also inlcudes 6,000m of public road upgrade works tot he site entrance and a bespoke SUDS drainage system. 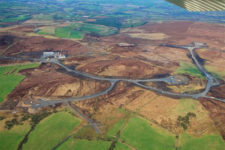 Due to the difficult terrain, construction of the access tracks and foundations presented a number of challenges including varied depths of peat and vast inclusions of schist rock. 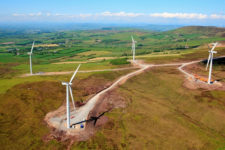 The project design also required specific environment mitigation measures to be adopted to protect the environment and nearby sensitive wildlife habitats. As principal contractor, it was our responsibility to manage and co-ordinate all site activities including turbine delivery and erection, electrical contracts and overhead line work.